Combine all the ingredients for the dough and knead well with water. Cover it and set aside for 15-20 mints. Combine peas, green chillies and ginger and blend it to a coarse mixture. Don’t add water and don’t over blend. In a pan heat oil and add the fennel seeds and asafoetida. Now add the green peas mixture and red chilli powder, garam masala. Mix well and then add besan and salt. Cook on a slow flame and stir occasionally. Turn off the flame and let it cool. 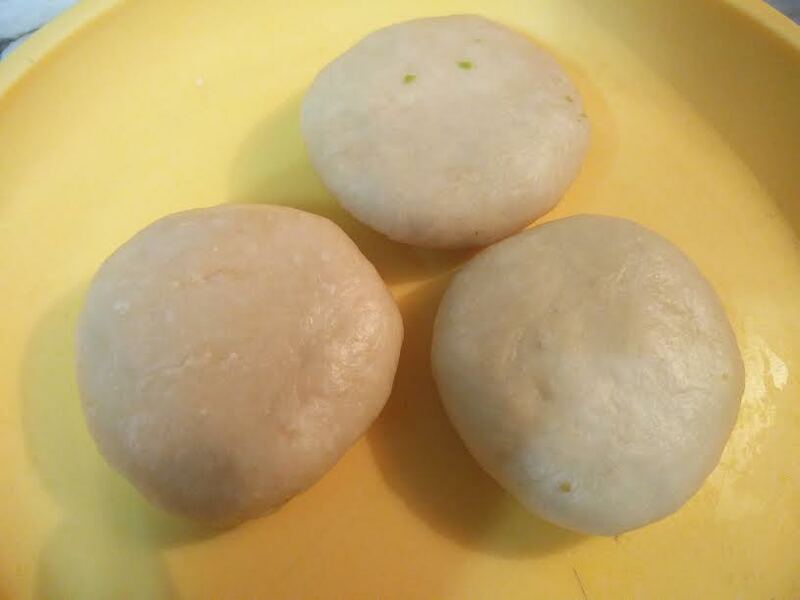 Divide the dough into 12-15 small portions. Roll out the portion to a small circle and fill the center with the fillings. Bring together all the sides of the circle and seal it tightly and flatten it with your palms. Repeat the procedure. Now in a heavy bottom wok, heat the oil and deep fry the kachoris in medium flame till it becomes golden. Don’t fry in the high flame otherwise it will remain uncooked from inside. Remove the excess oil and serve hot with your favorite chutneys. My mouth is watering after reading the recipe. ?